Our WW2 veterans are disappearing at an enormous rate. They all have stories that seem amazing to us now, in our comfortable lives. The Telegraph did an obitiuary on Lt-Cdr Barklie Lakin who died on March 1st. His career in the Royal Navy would be great material for a blockbuster war movie. 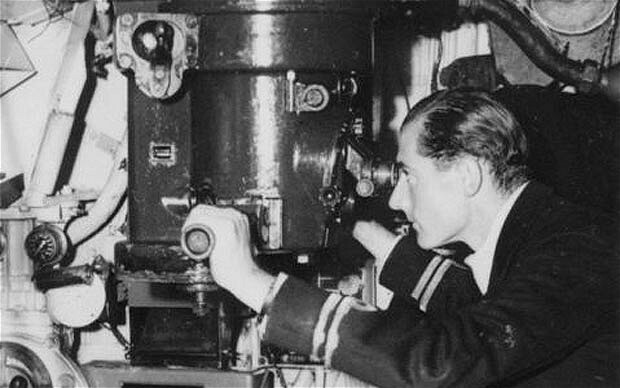 As commander of the Ursula, he took on the German U-boat U-73. It was thought to have been sunk but did escape that encounter. His boat ran commando missions in the Med. He sank Italian anti-submarine boats, and even took on a train with his deck gun. He was transferred from a submarine that was later sunk, escaping the fate of the crew. During a raid on a convoy, the enemy destroyers ran over his boat, smashing his periscopes, and he made it back to base, blind. He was transferred to a US Navy sub in the Pacific as a liason and was depth charged by the Japanese. It sounds to me like he did it all. A lot of these WW2 guys just took this stuff in stride. You can bet he didn't spend his life bragging about his exploits, just quietly did his duty, for King and Country. The Telegraph's story is a great read.